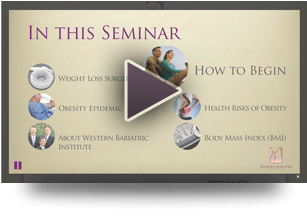 At Western Bariatric Institute, your journey will include much more than just weight loss surgery. Our surgeons have performed over 4,000 minimally invasive weight loss procedures and there is always a bariatric surgeon on-call. As one of the nation’s first Bariatric Centers of Excellence, and the first in Northern Nevada, you can be confident you are receiving education, support and care from one of the most comprehensive programs in the country. WBI’s staff boasts nationally recognized clinicians, including the region’s only Doctor of Nursing Practice, specializing in bariatric care. Your care will also extend well beyond surgery, with an exclusive support group network and continuing online education though our news feed. Fill out the patient information form and send it to our office. You can email it to mhermosillo@westernsurgical.com, fax it to 775-789-9210, drop it off, or mail to 75 Pringle Way, Suite 1002, Reno, NV 89502. This paperwork will allow us to verify that you are a surgical candidate. Please allow 5-7 business days for review. Click here to be sure you meet insurance guidelines. Please read and review the WBI Surgery Protocol and Patent Responsibility documents. You can ask for a printed copy at your consultation. When calling your insurance company to verify bariatric coverage, it is helpful to know the CPT Codes for each procedure when discussing coverage. 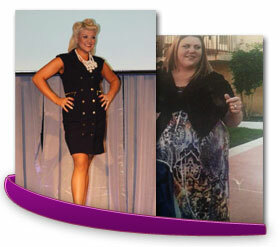 Gastric Bypass – 43644 and Sleeve – 43775. If your insurance doesn’t cover this service, ask the patient advocate staff about financing available through a local credit union. Watch our free online seminar available 24 hours a day. After you consultation, you will meet with your patient advocate and go over all the specifics needed to continue. You will need to partner with your Primary Care Physician (PCP) for a referral letter and medical records that support your medical necessity for weight loss surgery. You will need this letter prior to surgery, not before your consultation. We have a sample referral letter if your PCP needs it or you can find it on this website under primary care physician. The path to surgery is different for each patient and also may vary according to your own personal insurance coverage. Please remember that our staff is here to help you every step of the way and we will work hard to make the process as easy and as stress-free as possible.